IT governance refers to a subset discipline which is now used in corporate governance and primarily focuses on using the most effective IT systems. It also encompasses proper risk management and performance linked to the use of IT systems. The need for IT governance is increasing at present because it is extremely useful in achieving greater accountability in decision-making especially in the field of using the most advanced systems in information technology. It should also be noted that its key concern is IT governance and it mainly highlights the extreme importance of matters related to IT especially in making the most strategic IT decisions. Among its major goals include ensuring the IT investments generate business value and mitigating all the risks linked to IT. These goals can actually be achieved through the implementation of organizational structures that have roles that are well-defined in order to meet the responsibilities linked to running ICT infrastructure, applications and business processes and delivering information. IT governance comes with two different components. One of these is the structural component which encompasses the IT activities of the organization, how these activities support all the established business goals and the specific people who are in charge in managing all these activities. There is also the process component which refers to the decision-making rights that are linked with IT and all the policies and mechanisms that are mainly used in measuring and controlling the specific manner through which decisions related to information technology are formulated and executed. 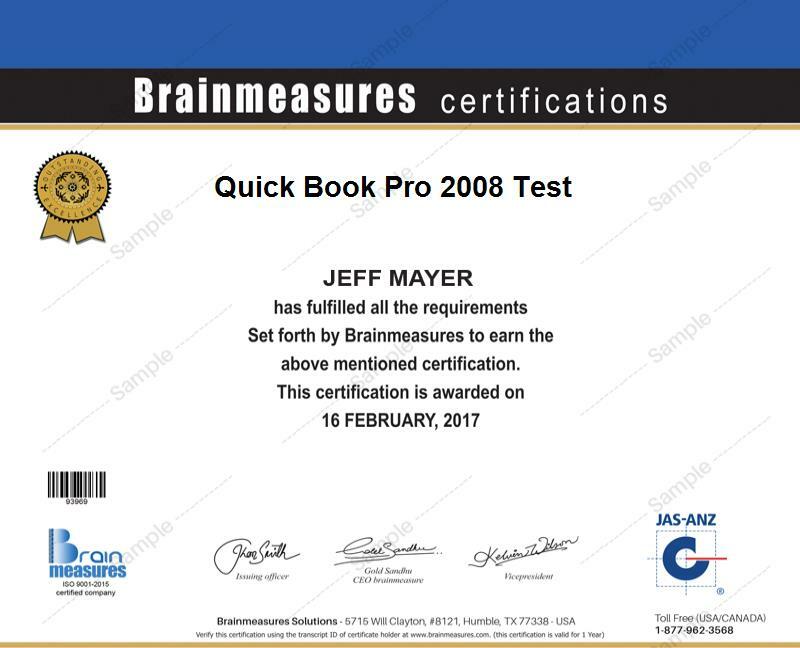 Brainmeasures IT governance certification program is the most ideal online certification course for you if your dream is to become an effective and reliable certified IT governance professional. This IT governance course covers everything about this field so you have a guarantee that you can easily harness and strengthen your skills and knowledge about IT governance. Taking part in this highly commendable online certification program allows you to enjoy the company’s comprehensive IT governance training which is guaranteed to walk you through all the concepts linked to IT governance, its major concepts and components, its major functions and the roles that it plays in improving the performance of an organization, the different IT governance tools and techniques that you can use and how you can make the most out of implementing it. Receiving an IT governance certificate is a good thing for you because it can help boost your career. How to leverage IT balanced scorecard as an effective alignment instrument? Taking into consideration the comprehensiveness and the high level of accuracy of all the information presented in the IT governance certification program offered by Brainmeasures, it will no longer come as a surprise if it continues to benefit a wide range of professionals. This program aims to provide more benefits to IT governance managers, CIOs, enterprise architects, IT finance managers, IT risk and compliance officers and any other professionals who wish to improve the level of their awareness about IT governance. As an IT governance certification holder, an even higher salary can also be expected. Being able to show an IT governance certification to your potential employers increases your chances of getting hired for the position of an IT governance consultant which allows you to earn around $85,000 on average annually. You can also work as an effective IT governance manager which allows you to receive as much as $172,000 per year.